Peter Luger is perhaps the most famous steakhouse in the nation (and the world? ), known for consistently serving top-notch steaks since 1887. 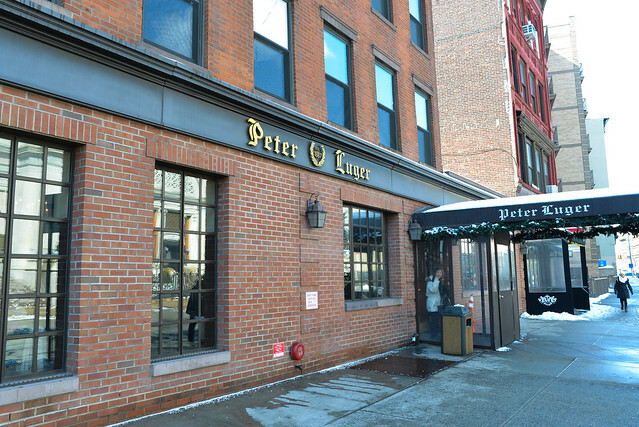 Every single time I see a list of top steakhouses in the nation, Peter Luger seems to be at or near the top. I’ve always wondered if the restaurant was overrated, maybe finding its way to the top of lists due to a nostalgia factor. There is no doubt Luger’s been a pioneer in the field since opening, but surely restaurants have improved on the concept since 1887…right? Given my penchant for meat and potatoes, Luger’s been a must-try on my list and I was excited to finally try it. 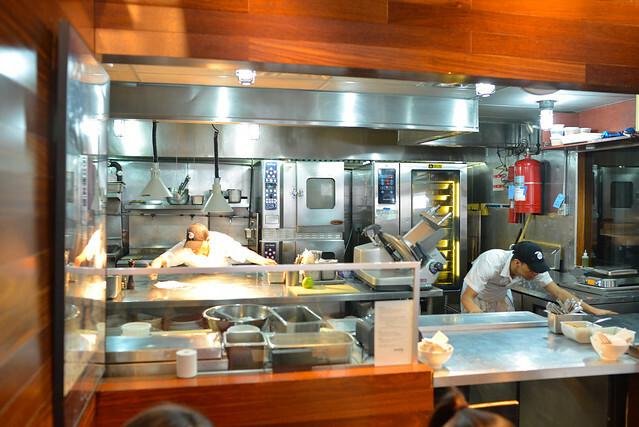 The restaurant currently holds one Michelin star. 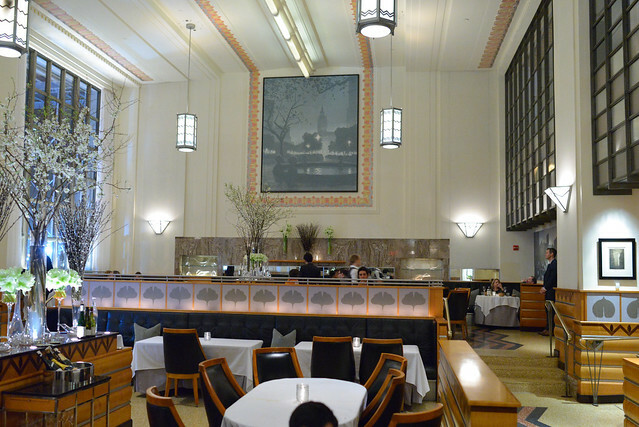 Eleven Madison Park was one of my most anticipated meals in a long time. 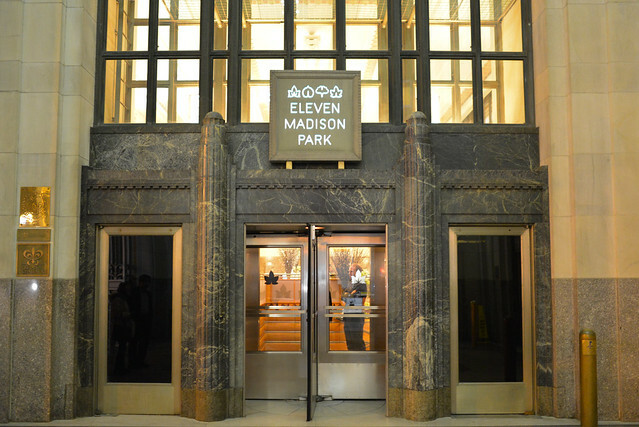 Since chef Daniel Humm and manager Will Guidara took over the place in 2006, the restaurant has skyrocketed to be regarded as one of the best in the world. Consistently earning three Michelin stars, it was rated the 4th best restaurant in the world in the well-known S. Pellegrino list. Needless to say, expectations were sky-high; so high that I had considerable doubt the restaurant (or any, for that matter) would be able to meet them. My dad had dined here just over a year ago but this would be the first visit for the rest of the party (though a couple of us have had Humm’s food when he was chef of Campton Place in San Francisco). 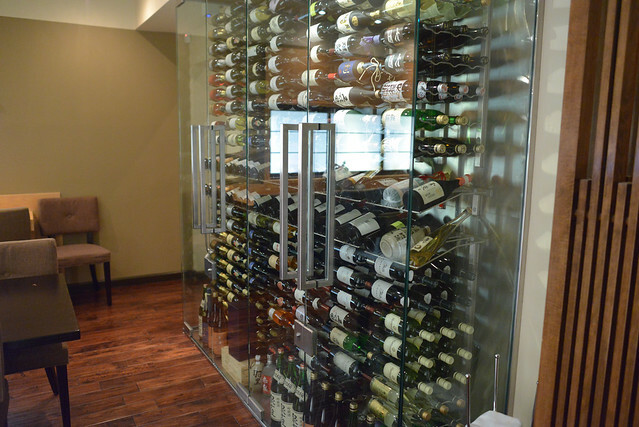 Over the years, the restaurant has changed the layout of the menu multiple times; currently, it’s a multi-course menu with a fixed price tag of $225. The only choices were whether the foie gras be in terrine form or pan-seared and if the party wanted a duck or pork course. Until this trip, I had never dined at a David Chang restaurant. 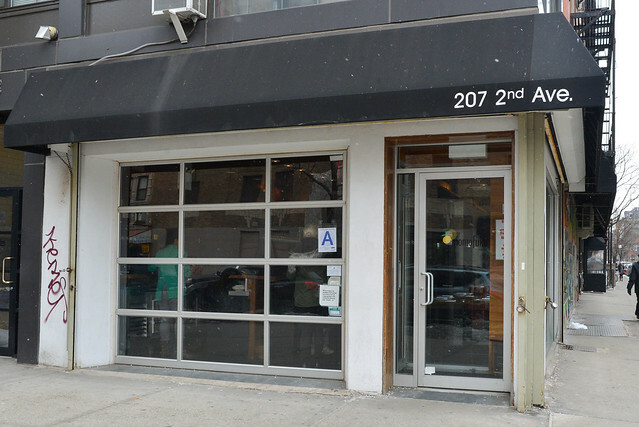 Of course, I’ve followed his quick ascent to be one of the most well-known chefs in the country and have wanted to try one of the Momofuku restaurants. My dad came here, to the Ssam Bar, a year or two prior and really enjoyed the meal (raving particularly about the pork belly buns and rotisserie duck). He recommended we come by for a brunch visit so that my mother and I could try it. We Californians were prepared to brave the snow and cold to do it. The Ssam Bar was Chang’s second restaurant opening in 2006 (after the noodle shop), serving Korean-American inspired food. The restaurant is currently ranked #64 of the best restaurants in the world. Given it’s been a good six years since I had been to New York City, the list of restaurants I want to try is overwhelming. So, narrowing down a coveted dinner choice was a challenging (though exciting!) task. I wanted a restaurant that would be brand new to everyone dining (my parents and I) and something a little less of a marathon given the extended tasting menus of the previous dinners. Marea is a restaurant that’s been on my radar since opening in 2009 and fit the bill for this meal. An Italian seafood restaurant, the restaurant currently holds two Michelin stars and ranks #93 in the latest best restaurants in the world list. While a la carte and by-request tasting menus are available, I suspect most diners choose the $97 4-course pre-fixe, which basically allows one to choose 4 dishes off the a la carte menu (one crudo/antipasti, one pasta, one main and a dessert). Note that there are some pricing supplements for some of the more expensive dishes. My mom, dad and I went for the pre-fixe menu adding one small plate to share as an addition. 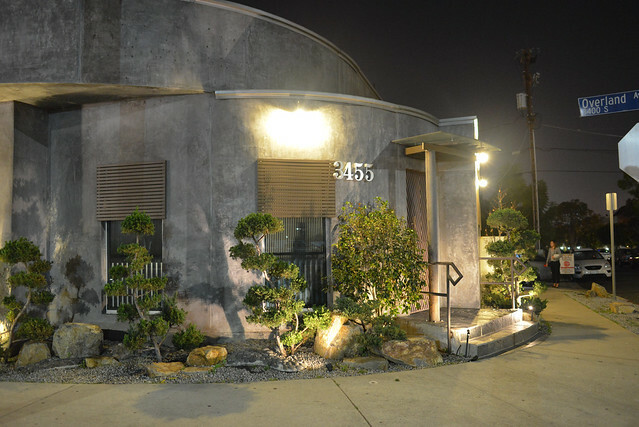 The modern kaiseki runs $165 with a vegetarian option for $150 – both are thirteen courses. 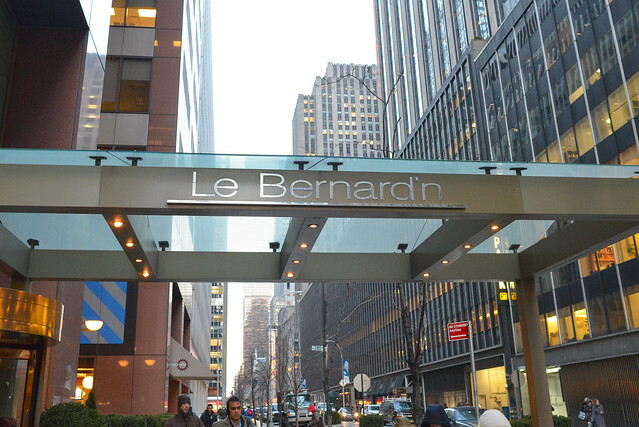 Le Bernardin is one of the legendary fine dining restaurants in New York City. 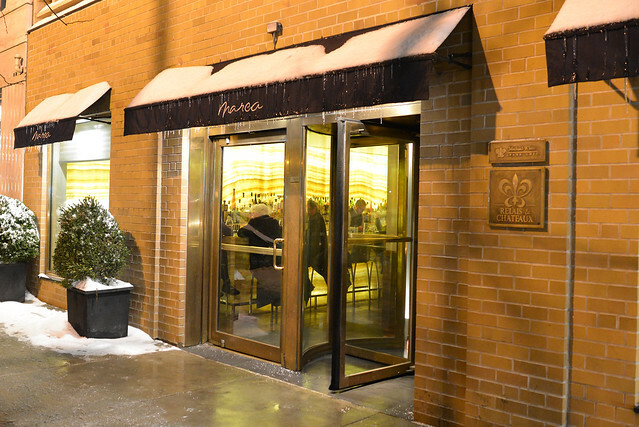 Originally opened in 1986, the restaurant has stayed at the forefront of NYC dining up through this day. Currently helmed by famed chef Eric Ripert (Executive Chef since 1994), the restaurant has be given a full 4 stars by the New York Times, 3 Michelin stars, and ranks #21 in the World’s Best Restaurants, 2014 list. 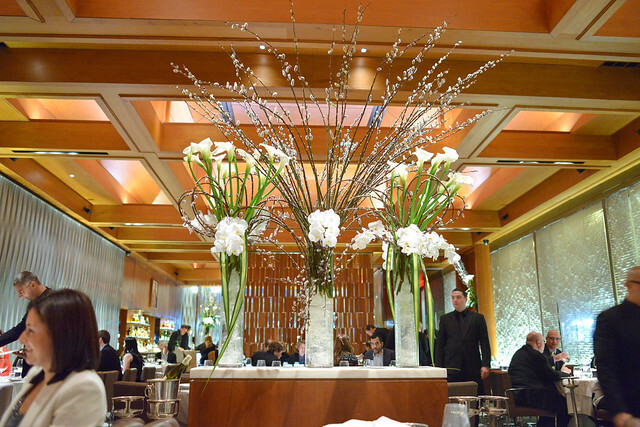 Few restaurants have received more acclaim than Le Bernardin. 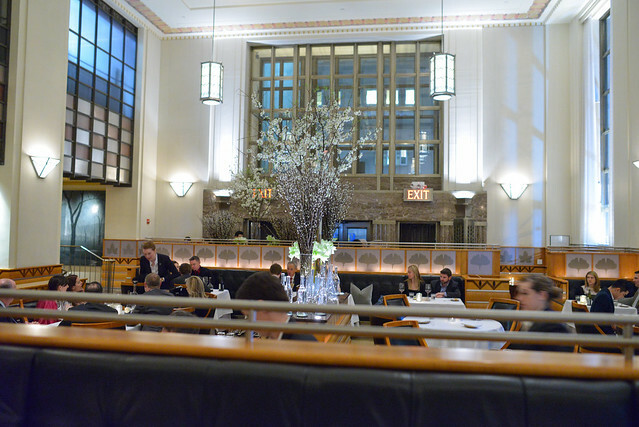 I wasn’t sure if/when I’d be able to try the restaurant, but was excited to dine here on this most recent trip to NYC. 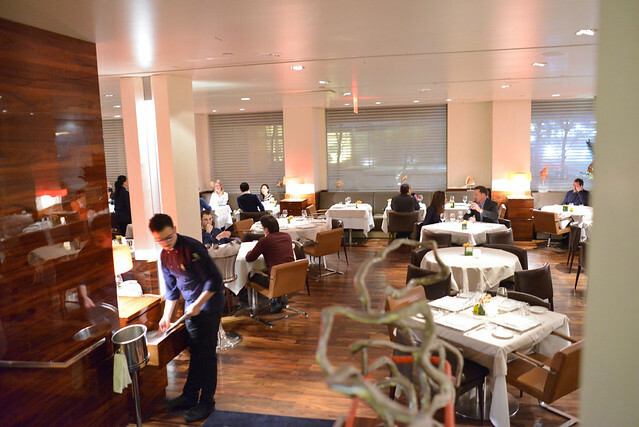 A four-course a la carte menu is offered for $140, while the Le Bernardin Tasting Menu offers seven courses for $170 and Chef’s Tasting Menu with eight courses for $205. We opted for the Chef’s Tasting Menu for the ‘full experience,’ although this would be my dad’s second time having it.